Hi lovelies! Sorry for the long hiatus. Internet connection is very slow since the holidays. I am thinking of changing ISP soon, thinking about Wi-tribe (4g connection), PLDT My DSL and Globe Wimax LTE. I currently use Sun Broadband and seriously I don't know if our place is congested with users or is the connection just plain slow. Anyway let us get on to my review today, just recently I have looked for a short cut to flat tummy. There is no way you can fake a flat tummy in reality unless you do photoshop (only in pictures!) so I was confused. I only have 2 weeks in preparation before our group's "big day". We need to wear our costume again which requires, tentetenenen - showing of tummies. I was doomed! 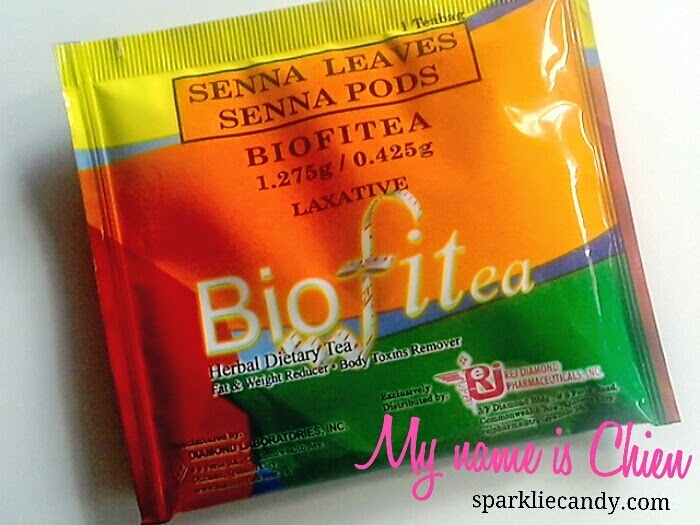 "BioFitea is made from first class Senna herb carefully processed to comply with the meticulous international standards of herbal tea preparation. No chemical solution added." It is a slimming tea which is 'laxative'. I read on and found that prolonged use is not recommended. Pls see this link before trying this out. I carefully thought of on how I will use Biofitea. I don't want to be 'doing it' just anywhere. Remember that this is laxative. I have decided to drink it once a day preferably night time after meal. Regular bowel movements every morning, check. However I feel uncomfortable even when I am outside which is such a hassle because before, I am always on-the-go doing sales call and focusing on computer related tasks. I tried to stick to my plan and with an extra effort of exercise everyday, I had my routine going for 2 weeks. As for the taste of Biofitea, there is absolutely no complains with it. I usually drink this cold, I am not a fan of hot drinks unless its coffee or hot chocolate. It taste like a popular iced tea available in the market today. I was actually expecting that it will have weird taste because its herbal, glad that I was wrong. Little by little I noticed difference and soon enough my old shorts are fit once more. I bought mine from Mercury Drug Store but Watsons also have this available. If my memory serves me right its only P5/ sachet. Yes but maybe only after a month. 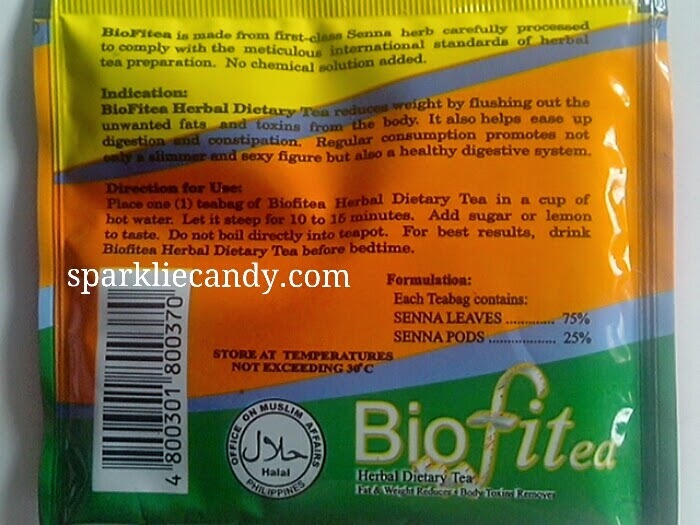 Biofitea is an effective herbal dietary tea. Especially when used with an added exercise which makes the effect appear faster IMO. I was able to show up my tummy after the 2 weeks, can you believe that? Not much flab appeared but my tummy is not really 'flat' but there is no magic secret to success. Hoho, with the right diet and exercise, who knows? How about you lovelies, do you have a routine you follow for a flat tummy? Share on below, I would love to read your comments! What do u mean u said 'stomach discomfort'? Kahit nasa labas sis ma-feel mo you would like to go to the restroom. Ganun sya. So I recommend take it when you think you are mostly in the office or at home lang. Not when you are our for field work etc. Sa 2 weeks nyo pong na try everyday nyo po bang iniinom? Guys..since i was young hirap n aq s bowel mov.nakilala q ang biofitea 2016...till now iniinum q xa regularly.plss reply me as soon as posble.naka depend n ang buhay q s biofitea.what should i do.? ok lng yan as long as you dont feel anything wrong as far as your health is concern. It is herbal tea so I dont find it wrong to use everyday. Try to escape sometimes a day or two kpg wala n constipation..then drink again kpg andun p rin constipation as long as walang side effect na iba sa health mo. you better consult a doctor. sabi nga nya, prolonged use is not recommended. Ok lang po bang morning ito inumin ?? Pwede ka po ba mag take nito everyday kahit wala ka hanong kinain? ?